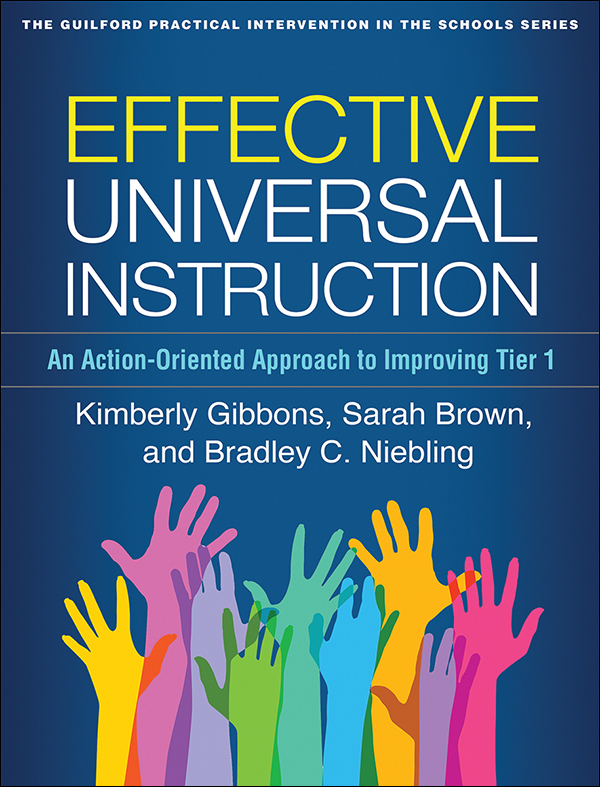 This accessible volume helps school leadership teams accomplish the crucial yet often overlooked task of improving universal instruction—Tier 1 within a multi-tiered system of support (MTSS). Strong universal instruction reduces the numbers of PreK–12 students who may need additional services and supports. Providing clear action steps and encouraging guidance, the expert authors present a roadmap for evaluating the effectiveness of Tier 1, identifying barriers to successful implementation, and making and sustaining instructional improvements. In a large-size format with lay-flat binding for easy photocopying, the book includes 27 reproducible checklists, worksheets, and forms. Purchasers get access to a Web page where they can download and print the reproducible materials.